The software allows to convert multiple emails from NSF file to MBOX file at a time. You can use a folder having multiple NSF Files to perform the conversion. Even after the conversion , the complete meta data associated with the emails like To, Cc, Bcc, email addresses , Dates etc are retained. Even the attachments in the emails are also retained by the software after the conversion. You have an optional feature to maintain the folder structure of the NSF file. However , by default the hierarchy is mainatained by the software during the conversion. During the conversion of the Lotus Notes to MBOX Format , a small summary detail of the process is generated showing the name of the current folder , name of migrated file , number of folders and email count. Convert Lotus Notes to Mac Free – Get Solution Over Here! Lotus Notes to Mac conversion is require, if you are Lotus Notes user from last long years. But know you want to switch from Lotus Notes to Mac mailing server. Before switching you have to convert Lotus Notes to Mac free emails, for better use on Mac server. You search over internet for Lotus Notes to Mac conversion to convert Lotus Notes to Mac free of cost for export Lotus Notes to MBOX format. We give you idea about conversion software export Lotus Notes to MBOX format by which predicts best and secure conversion result for you. Why You Choose Lotus Notes to Mac Conversion Tool? Lotus Notes to Mac conversion tool is the best and secure way to convert Lotus Notes to Mac free of cost or nearby free of cost. But lack of knowledge about how to convert Lotus Notes to Mac FREE of cost, you are not able to predict best results during conversion and can export Lotus Notes to MBOX files without any hesitation. 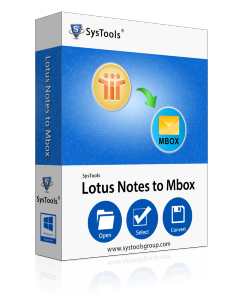 This Lotus Notes to Mac conversion tool provide you full guide line about how to export Lotus Notes email MBOX free of cost. How to Buy for Better Results? GUI and installation process of Lotus Notes to Mac conversion software is trouble–free and straightforward. If you want to install this software to convert Lotus Notes to Mac free of cost. Just click on download link and contact with us trough 24*7 online service. Our support team assists you very well. Step 3:Select "Maintain Folder Hirarchy". Step 4:Click on Export and export NSF files to MBOX. Is there any file size limitations imposed on this software? No, this software is not having any size restrictions. A user can convert NSF file of any size into Mac OS. Does it provide facility to convert multiple NSF file at one time? Yes, a user is allowed to convert multiple NSF file to some other file in single go also. 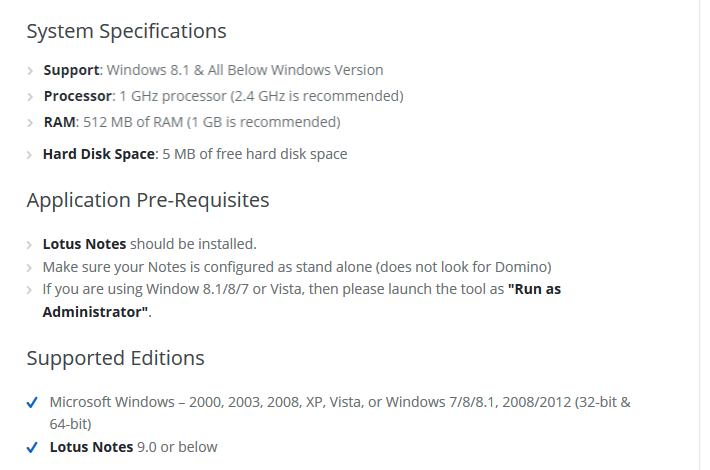 Does it supports all Windows versions? Yes, a user can run this software on Windows 8.1/ 8 and below versions. Will it maintain the integrity of files after conversion? Yes, it will maintains the integrity of NSF files after conversion also..